Since the 1950’s Hobie has been producing some of best surf products on the market. 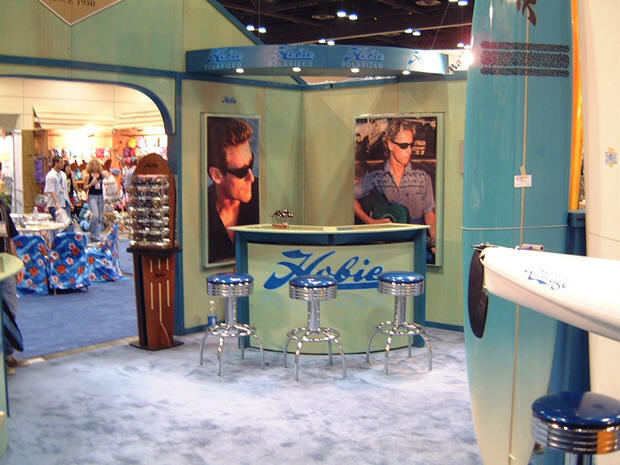 To complete their setup, Hobie Surfboards chose 30″ B2T3 Barstools upholstered in Blue Zodiac. We especially think our stools look great with the Hobie Bar in their retail showroom. We would like to thank Hobie for their business and invite you all to visit their website by clicking the the link below. Thanks!